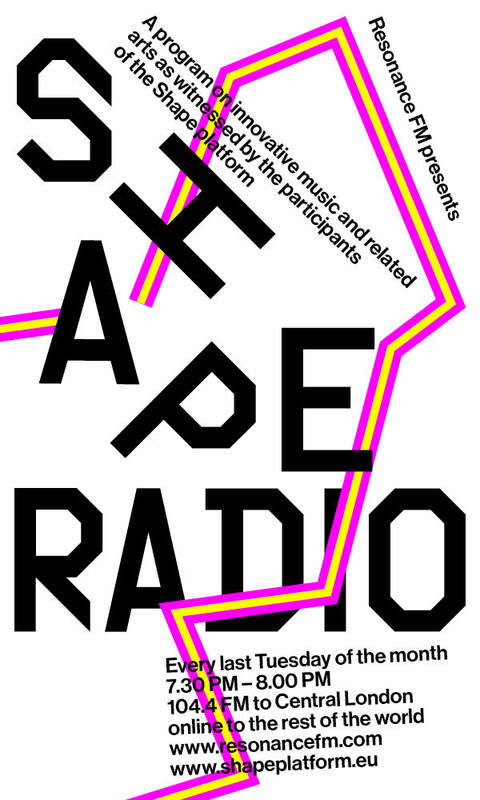 Tune into Resonance FM on May 26th (7:30 BST) to hear the fourth episode of SHAPE platform’s monthly radio show, hosted by Lucia Udvardyova. This episode will feature an interview with Jeanne-Sophie Fort, one of the organizers of the Les Siestes Electroniques festival, which is coming to Paris and Toulouse in the the two following months, as well as SHAPE artists Martins Rokis a.k.a. N1L, Aisha Devi (previously known as Kate Wax), Yro and Księżyc. N1L is his side-project, exploring various templates of electronic club music cultures in the broadest sense of the term. He will be performing live at Prague’s art center MeetFactory on June 13. The sound of Polish group Księżyc captures early and late medieval music with a sound rooted in the Slavic tradition combined with elements of minimalism and vocal experiments of the 20th Century. Rumor has it that they’ll play at the Toulouse edition of Les Siestes Electroniques, even though they’ve kept the line-up secret so far. Aisha Devi’s music combines her Tibetan and Nepalese heritage, using her machines to transmute deep meditation. You can catch her live at the Paris edition of Les Siestes Electroniques. Yro is a multidisciplinary artist, living and working in Paris. He blends music & video in performances and installations in which new technologies and low-tech are coexisting. He, too, will be performing as part of a SHAPE showcase at MeetFactory on June 13 – the date of the Museum Night in Prague. To hear the show, stream it live here or tune into 104.4 fm (central London). …or stream it later on our web-site.